​BEGIN A CONVERSATION WITH PATRICK, IF YOU DARE . 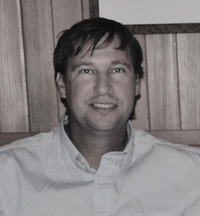 . .
Justin Bog lives in the Pacific Northwest on Fidalgo Island. He is an author of dark, psychological tales and an Editor and Author Consultant at The Author’s Advocate. Justin Bog was Pop Culture Correspondent and Editor for In Classic Style, an eMagazine. Bog loves to cook and play the part of treat master to his long coat German shepherd, Kipling, and two barn cats, Ajax The Gray and Eartha Kitt’n. R.I.P. Zippy! Sandcastle and Other Stories was a Finalist for the Ohioana Book Awards 2014! It was also named Best Suspense Anthology of 2013 by Suspense Magazine. Patrick is a normal guy that lives in his dead parent’s house and wants to be left alone by these people that are so needy. But his friends think he needs a girlfriend so he finds himself on a date with Wendy. Wendy is prattling away to Patrick and he just doesn’t care. That is until she starts talking about how her mother died horribly and now she has a fear of death. This sparks something in Patrick and he leaves her at dinner. Then someone is threatening Patrick. Could it be Wendy, she was real upset with him after the dinner stunt? This is a quick, scary read. Patrick seems like a normal person that just wants to be left alone. But he is anything but normal. Something happened to him to make him this way. But I have to say that when he started getting threatened, that is where this book took a major leap to creepy. I had no idea who it was until the end. This is a great, scary story that will thrill anyone. It’s a quick read with two bonus stories thrown in. I loved reading Justin Bog’s Hark: A Christmas Collection and Wake Me Up. He is a great author and I can’t read to read more of his books. 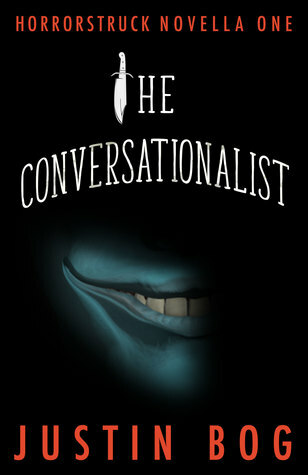 I received The Conversationalist from Sage’s Reading Room for free. This has in no way influenced my opinion of this book. In the second book in the Ramtalan Trilogy, Argus Dachel, a far-from-ordinary half-alien teen, finds himself mixed up in the battle between a hostile faction of Invaders and the peaceful Ramtalans he’s come to know as his friends. With his brother Tai held captive at the Citadel and disturbing news about his father, Argus has to come to grips with the truth about who he really is. Not only is the government agency, the Astronomical Urgent Recovery Administration, AURA, hot on his tail, but his relationship with his girlfriend Lola is in jeopardy. As his special abilities increase and become stronger, he risks exposure and capture. When the enemy closes in and the Citadel is attacked, it seems victory is impossible, but losing means certain death. He must find some way to protect everyone around him, but winning is impossible. Or is it? We start right where we left off with Origins. Tai is at the Citadel and Argus is on his own for the first time. He is back in school and trying to have a normal life. But as his powers grown he has to grow too both physically and mentally. But he is still be hunted down by AURA and Max is still in the picture obsessing with the brothers even though Argus is trying keep his distance. If that is not enough then there are the Ramtalan’s that are planning on attacking Earth and taking over. Argus has his hands full. He has to rescue his brother, keep off AURA and Max’s radars, and then there are the visions from his dead father. Argus has a lot happening and that is not including his growing powers. It’s the first time he is on his own and has to get used to this too. There is a ton of action that will keep you flipping the pages and new problems to keep you engaged with this story. I love this series, it has a little bit of everything and will appeal to everyone. This is a great sci-fi young adult series. I can’t wait to see how everything ends with Two Brothers: Species. 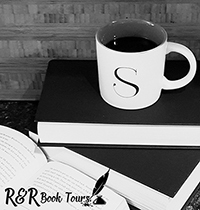 I received Two Brothers: Heritage from Reading Addiction Virtual Book Tours for free. This has in no way influenced my opinion of this book.